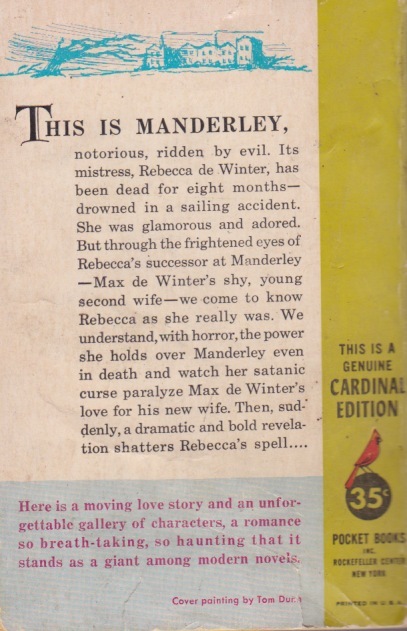 Here's great 1964 copy of one of my favorite books of all time, Daphne du Maurier's novel, Rebecca. Doesn't the first Mrs. DeWinter look smug in that portrait? With cover copy like that how could you not want to read it? That's it!!! 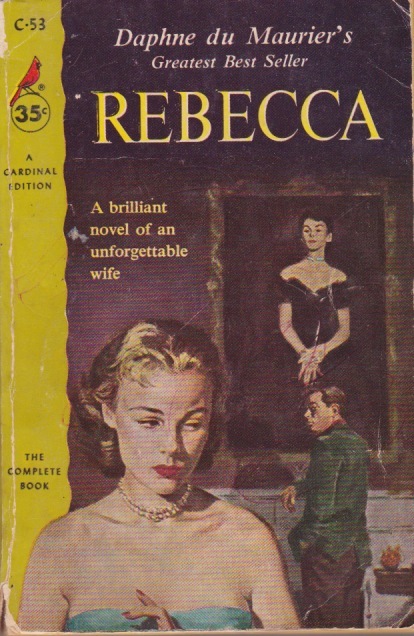 That is the copy of Rebecca I read so long ago. Can you check the interior? I believe that is the 1952 edition. The 1964 edition has a different cover and price.